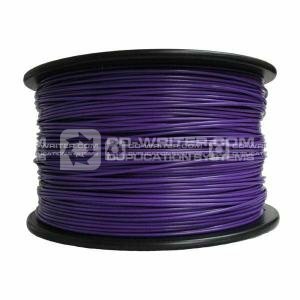 A 1Kg (2.2lb) coil of Purple ABS 3mm filament wound around a sturdy plastic spool. ABS is compatible with Mendel, Darwin, MakerBot, RapMan, and other 3D printers. More information on ABS is available at Reprap.org. ABS . 3mm . Purple . 1Kg . on . Spool . for . 3D . printers .